Thursday morning I grabbed a quick breakfast before heading over to the NSF Chalet for our Science in-briefing. After that talk was done, Sean, Thomas, and I went over to the Crary Lab IT center to get our computers set up and configured for the McMurdo wifi network. After that, we had some time to kill, so while Sean went to grab a pillow for his dorm room, Thomas and I went around McMurdo for a bit. We stopped by building 175, where we've been allocated two cubicles, but the person we were supposed to see to find out which cubicles they are wasn't around. We then went to drop in on Ryan, our NSF contact, but he was on a phone call. Then we went to the Berg Field Center (BFC) and talked to them for a bit about getting our equipment that we'll need in the field. We went back to Crary and talked to Scott Battion, the LDB camp manager and a 2013 SuperTIGER recovery team member. While we were talking to Scott, we ran into James, who will be the camp manager/supervisor for the groom team and our recovery camp. Thomas and I then spent about an hour and a half getting coffee with James and Lyra, a mountaineer who will also be going with us into the field. We went over the plan for recovery and a lot of other options about flights and logistics. By then, it was time for lunch, so Thomas and I were about to head out to find Sean when Sean showed up. We had lunch with Sean and Dana, and then it was time for our Antarctic Field Safety course. This was basically a refresher course from Happy Camper school, and we went over risk management, how to recognize frostbite and hypothermia, what to do if you fall in icy water, and then practiced lighting stoves and setting up tents inside. Once that training was over I took a walk around McMurdo, then met back up with everyone for dinner. Thomas and I walked over to Scott Base for America Night, and got to talking for a while with Peter, my roommate. Eventually, I caught the last shuttle back to McMurdo while Thomas walked back. Today I woke up and had breakfast with Dana and Sean. At 8am I went to the Crary Library for more orientation lectures. First, Thomas, Sean, and I got the Light Vehicle Safety lecture, so once we get a walk-around/check out with actual vehicles we’ll be able to drive here if we need to. After that, we were supposed to have a waste briefing, but the person who was going to talk to us never showed up. Instead, we started the Fire Safety briefing early. After that, we went over to the Science Support Center (SSC), which is where our field safety training had been the day before (and where Happy Camper school started for me two years ago), and talked to our NSF Contact, Ryan, about flight options for getting the groom team and ourselves out to the SuperTIGER site. It now sounds like the groom team won’t head out until late next week at the earliest. Then it was time for snowmobile training, where we got a quick intro to maintaining and checking out the type of snowmobile we’ll have with us out in the field. We then went to the BFC to pick up our sleep kits. 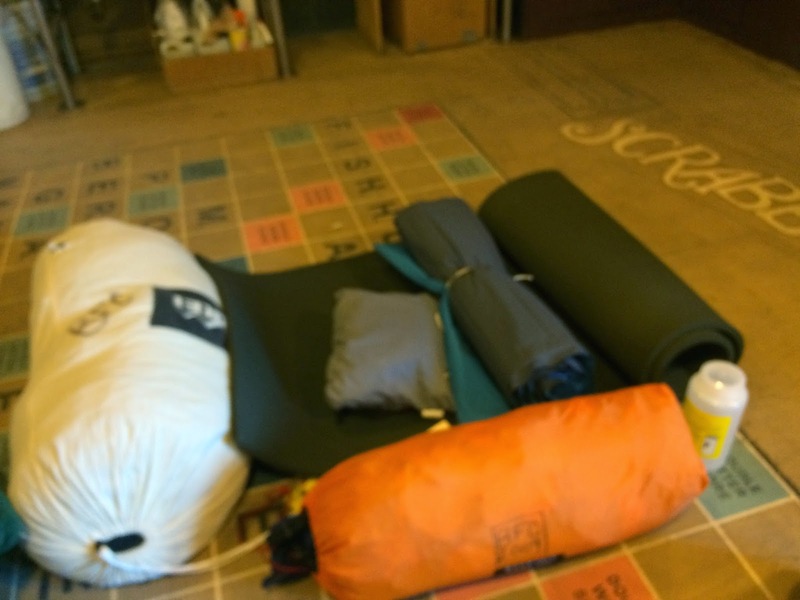 We each were issued a sleeping bag, fleece liner, foam and air pads, and a tent to use once we go out into the field. I also picked up a thermos. We checked our stuff our and then went and put it all in the SuperTIGER container between the SSC and BFC. We caught the shuttle van out to LDB (a new feature this year, with vans leaving McMurdo every hour) and had lunch in the LDB galley. The entire LDB camp has been moved two miles farther from McMurdo on the ice shelf, so it was weird to see familiar landmarks in the distance but not quite at the same angle. At lunch, we talked again with Scott Battion and I talked a bit with Barth from BLAST, who is back this year with SPIDER, a Cosmic Microwave Background experiment. We went and looked through the two payload buildings after lunch. The building that EBEX was in two years ago is inhabited this year by SPIDER, and Natalie and Steve, two of the BLAST graduate students, are back this year as well. We talked with them for a long while about their experiment, their recovery plans, our recovery plans, and how the system that points their experiment works. The building that we were in two years ago now is being used by the ANITA team. ANITA itself was out on The Boss for its official hang test when we showed up, so the building was pretty empty. Dana and Paul weren’t around, so we didn’t stay too long there. COSI and their "Pig Barn"
Past our payload building is a temporary building put up this year that houses the superpressure balloon, a new type of balloon that CSBF is testing again this year, and COSI, the experiment that will fly on it. We introduced ourselves to the COSI team and talked with them for a while. The box with the superpressure balloon is so big that it takes up most of the space, with only a little bit in front for the experiment to sit on. COSI was outside doing some compatibility tests. 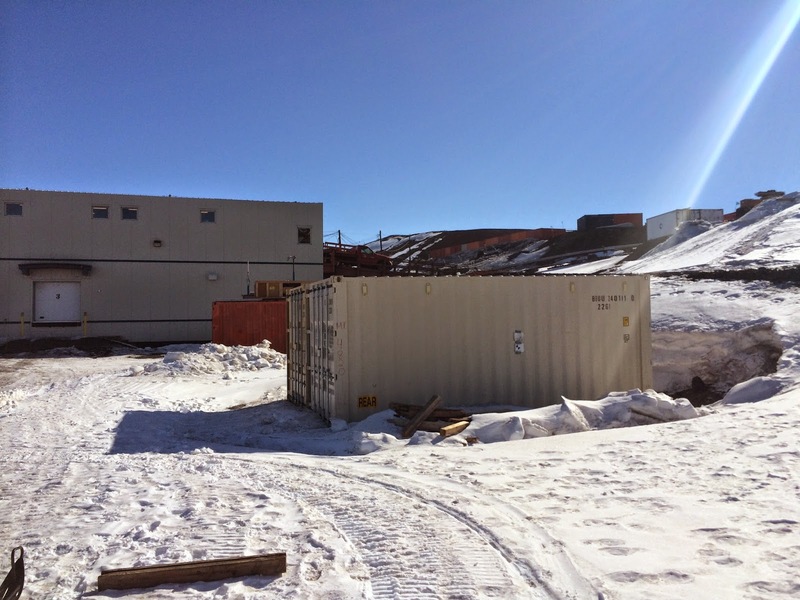 If COSI has launched by the time that we get back to McMurdo from the SuperTIGER recovery, then we might end up using that building to pack everything up in. After that, we came back to town, and have some down time now before dinner. Tomorrow we signed up to go on a tour of the pressure ridges, so that should be a good hike and chance to take photos. A quiet few days: December 6-8, 2014.